Small footprints, big adventures began in mid-2017 and has grown steadily since. Responsible travel and eco-friendly lifestyle issues may not be mainstream topics yet, but are increasingly in demand as people search for inspiration to guide their changes into more sustainable solutions. 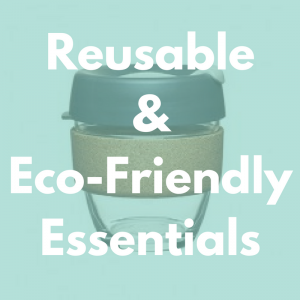 On this blog I share our experiences and provide detailed guides to make readers think, help them to reduce their negative impact, and show that living sustainably as a family is not only possible, but is fulfilling. Key features of this blog are attention to detail, thorough research and exploration of topics, integrity and thoughtfulness. Our readers trust us and we vow to keep that trust by always being transparent and 100% honest. 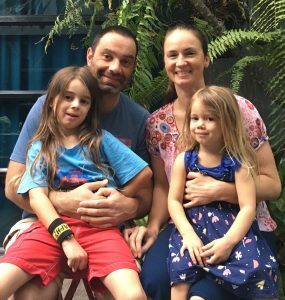 Our family has been researching, transitioning and pioneering an ethical and low-impact lifestyle for almost a decade, and this blog is one of less than a handful of websites dedicated to discussing these topics from a family perspective. We have experience and knowledge to share, and we have a unique voice on the internet that is being noticed. 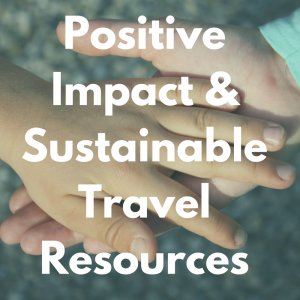 The blog is dually focussed on ethical and sustainable lifestyle and responsible and positive-impact travel, which of course are linked together. We think our complementary focus provides more assistance and interest to readers, and allows us to discuss a broad range of interconnected ideas and experiences with our audience. My experience in research and writing come from previous positions in communications and project management, for an Australian University and peak industry body. I have also studied psychology and anthropology at tertiary level and have always loved people and animals with all my heart. Anthony has travelled extensively and has worked in the media and in his own IT business. 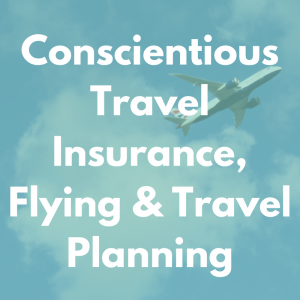 We both share a love for travel and meeting people, continual improvement and leading a low-impact lifestyle. We also strive to lead by example, for our children and for anyone who is inspired by our adventures. You can read more about us and our children here. 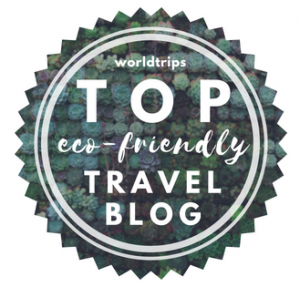 Currently we consider working with brands and organisations to review and promote responsible tourism destinations and experiences, and environmentally-friendly products and solutions. We can provide social media posts, targeted blog articles (using keyword research and SEO techniques), relevant promotion within our subscriber base, Pinterest promotions and photography services. Our social media following is growing steadily and has excellent interaction rates from our audience, and our Pinterest account gets over 33,000 unique visitors per month. We will also consider advertising on our blog on a case-by-case basis, if the product or service fits with our ethos. Accessing Small footprints, big adventures’s audience will help your business gain exposure to thousands of followers interested in responsible family travel experiences, sustainable living choices, and living consciously and lightly on the earth. We will only ever work with companies who who understand our need for full integrity, and who are committed to social responsibility, ethical conduct, environmentalism and conservationism. If you seek to work with us, together we will agree upon a clear contract outlining all expectations and timeframes pertaining to: detailed and honest blog articles and social media posts, information in emails to our dedicated subscriber following, and photograph ownership and usage. I take a great amount of time and effort with every communication I publish, and pride myself on providing clear and useful information.You will have a chance to review and provide feedback on any writing before it is published, but I will retain full authorship and absolute honesty. I will not publish any review without an explicit statement of sponsorship, and I will never publish pre-written text.